The growing commercialization and exploration of space have led to a demand for new and innovative technologies. Chief among these is a need for versatile and efficient forms of in-space propulsion. Electric thrusters can fill this need, providing an order of magnitude higher “miles per gallon” than their conventional counterparts, chemical-based rockets. The age of electric thrusters is already here with hundreds of these devices flown on orbit and several hundred more planned in the next decade. This talk overviews the principle of operation of electric thrusters, provides examples of on-going work at the University of Michigan related to the development of these technologies and discusses examples of their current and future uses. 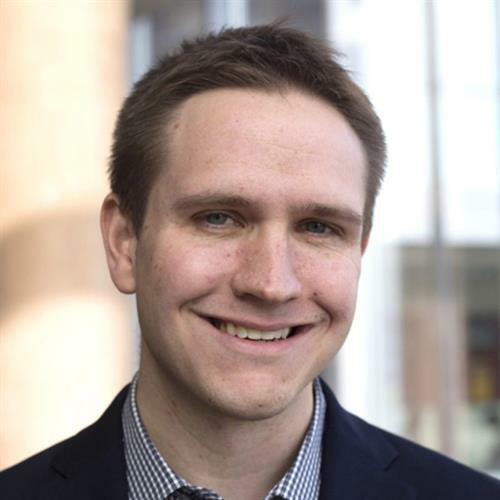 Dr. Benjamin Jorns is an assistant professor in the Department of Aerospace Engineering at the University of Michigan and co-director of the Plasmadynamics and Electric Propulsion Laboratory (PEPL). Prior to joining PEPL, Dr. Jorns was a member of the electric propulsion group at the NASA Jet Propulsion Laboratory (JPL) in Pasadena, California where his work combined experimental and analytical techniques to investigate propulsion systems for the next generation of NASA robotic missions. Dr. Jorns also held a lecturer appointment in the Mechanical and Aerospace Engineering Department at UCLA from 2013-2015. His primary research interests include wear mechanisms and stability in electric propulsion systems, turbulence and nonlinear processes in low-temperature plasmas, developing new plasma diagnostics, and investigating breakthrough forms of in-space propulsion. He has experience with several commercial and government-build plasma propulsion systems including high-current hollow cathodes, 1-10 kW class Hall thrusters, and low-TRL electrodeless thruster concepts. His work with electric propulsion technology has centered on developing the first-principles understanding of their operating principles as well as implementing time-resolved and laser-based diagnostics to characterize behavior.